Bug fixes. Product enhancements. NEW FEATURE: style item templates: now you can save the style\pattern settings for use across multiple projects. o Avoid importing CAD and Explode CAD in project or families. 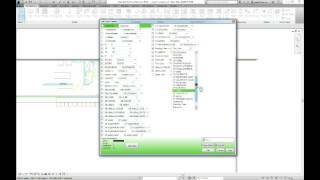 Always use an interim file to convert CAD linework into Revit lines. In a new project or family Import the CAD, Explode and then remap the lines, patterns to match your company standards or OTB types and styles. Copy the cleaned-up version into your actual project or family. o Link CAD files. It is advisable that CAD file should be cleaned up (especially civil files), purged, audited, PROXYGRAPHICS set to 1.
o Unload/remove unneeded CAD files. CAD files add a considerable bloat to Revit. IF CAD files are visible in the view, the view navigation performance is affected. o Avoid CAD objects in families. I was trying to declutter my model and this definitely helped. After initial problems with crashes and failures even in the OOTB sample project, we are very satisfied with the solution. The developer was responsive and solved the problem, even correcting a minor spelling error in the tool bar. This is an essential add-in, especially for BIM Managers and large teams working in complex models. Great app! Buy it now!